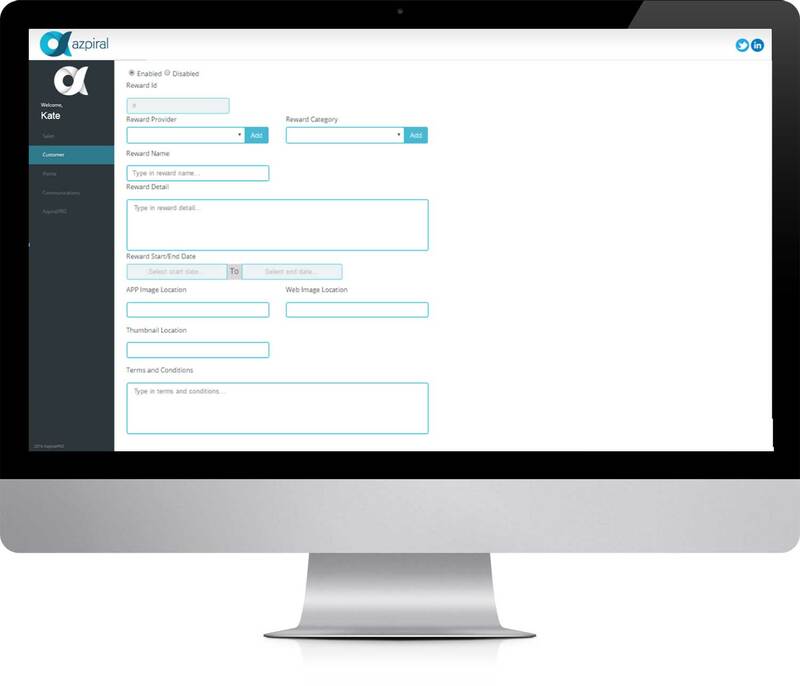 Manage all rewards setup, maintenance and reporting through the AzpiralPRO. Customise rewards based on your customer’s preferences through the AzpiralPRO. AzpiralPRO rewards engine loads reward directly onto your customers ‘accounts or award customers a unique code. 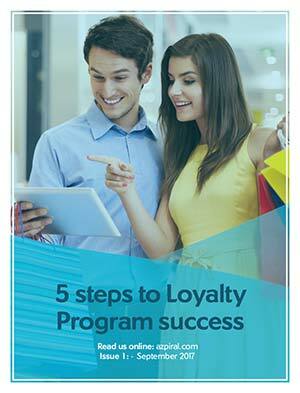 Rewards can be linked to instore purchases and can also be redeemed in store. Reward fulfilment is facilitated through the AzpiralPRO. This gives B2B, online only companies or companies with limited interaction with their customer, the functionality to offer rewards using partner brands online or in-store.